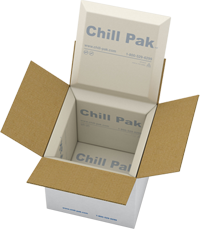 Chill-Pak™ manufactures and stocks pre-qualified parcel and pallet solutions, as well as polyurethane containers for your temperature controlled packaging needs. With our proprietary manufacturing capabilities, we also provide custom shape molding solutions for unique applications. 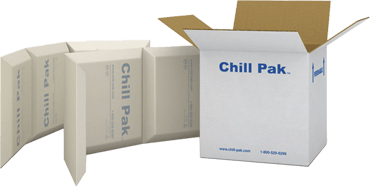 Chill-Pak™ pre-qualified cold chain packaging solutions guarantee the maintenance of internal payload temperatures of highly sensitive products and extend the shipping cycle under normal or extreme weather conditions. Our pre-qualified solutions are designed and thermal tested at our testing laboratory to ensure that your shipment of products will remain fully protected from all threats and risks of distribution. Pre-qualified parcel and pallet solutions come with specifications, performance testing, certification, and pack out procedures that ensure optimal performance for the entire duration of the shipping process. Our off-the-shelf solutions save you significant time and capital investment of going through certification. Protects highly sensitive products such as biologicals and chemicals that need to be shipped within a -15°C controlled temperature range for up to an extended shipping cycle of 120-168 hours. 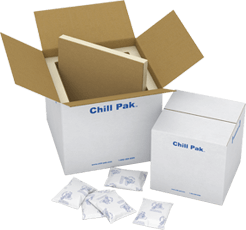 Protects sensitive products that need to be shipped within a 0° controlled temperature range for up to an extended shipping cycle of 120-168 hours. Protects products that need to be shipped within a 2-8°C controlled temperature range for up to an extended shipping cycle of 48-96 hours. Provides temperature control for bulk product shipments within a 2-8°C controlled temperature range for up to an extended shipping cycle of 96-148 hours. 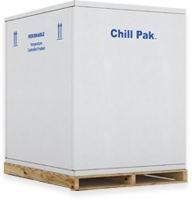 Chill-Pak™ offers a variety of in-stock polyurethane insulated shipping containers ready for immediate shipment needs. PUR containers are manufactured using high performance polyurethane foam that ensures all valuable temperature sensitive products remain within the specific temperature range during transit at frozen, refrigerated, or controlled room temperatures. Polyurethane offer much greater insulation capabilities (R-value) than EPS containers. Designed to provide cushioning and anti-shock protection during transit. 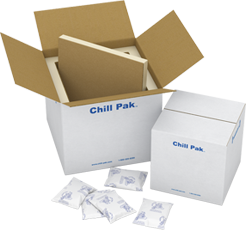 Temperature sensitive products are protected over longer shipping periods. Eco-friendly (CFC and HCFC free). Meets international clean air regulations. Foldable, collapsible insulated shipping coolers. 3-sided panel inserts ship assembled, in-box, or flat, saving floor space & reducing material and freight costs. Reusable and recyclable insulated polyurethane shipping containers for extreme thermal performance. 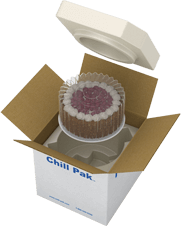 Have specific packaging needs ? 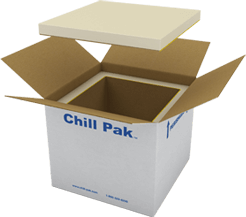 Chill-Pak can create customized polyurethane molded cushions for products that require a consistent, precise fit, and superior product protection. 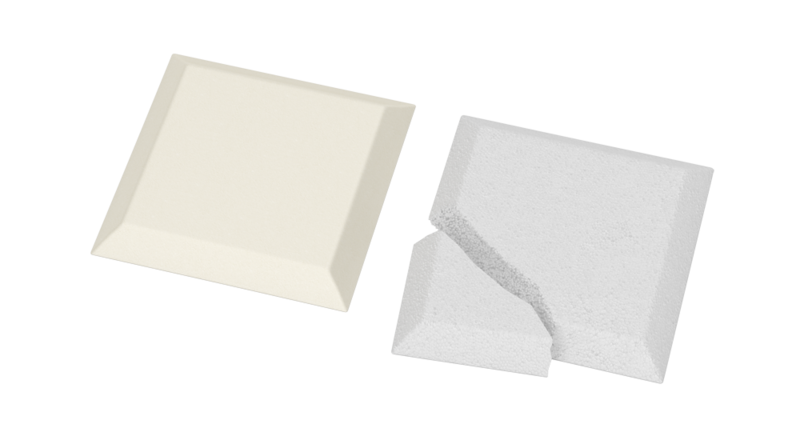 Our fully automated systems create engineered pre-modeled foam cushions for immediate use or to be transferred into storage bins for batching applications.